This story originally appeared on DeSmogBlog. Photo by Andrea Arzaba A Yaqui community based in Loma de Cacum, Mexico is challenging Sempra Energy’s Agua Prieta pipeline. The pipeline would transport natural gas from Arizona to Sonora. Opening up the spigot for US companies to sell oil and gas into Mexico was a top priority for the Obama State Department under Hillary Clinton. Agua Prieta, slated to cross the Yaqui River, was given the OK by seven of eight Yaqui tribal communities. But the Yaquis based in Loma de Bacum have come out against the pipeline passing through their land, even going as far as chopping out a 25-foot section of pipe built across it. While best known for the Canada-to-US Keystone XL pipeline and the years-long fight to build that proposed tar sands line, the Alberta-based TransCanada has also faced permitting issues in Mexico for its proposed US-to-Mexico gas pipelines. According to a December 2017 story published in Natural Gas Intelligence, TransCanada’s proposed Tuxpan-Tula pipeline is facing opposition from the indigenous Otomi community living in the Mexican state of Puebla. With Tuxpan-Tula, TransCanada hopes to send natural gas from Texas to Mexico via an underwater pipeline named the Sur de Texas-Tuxpan pipeline into the western part of the country. The Otomi community recently won a successful bid in Mexican district court to stop construction of Tuxpan-Tula. 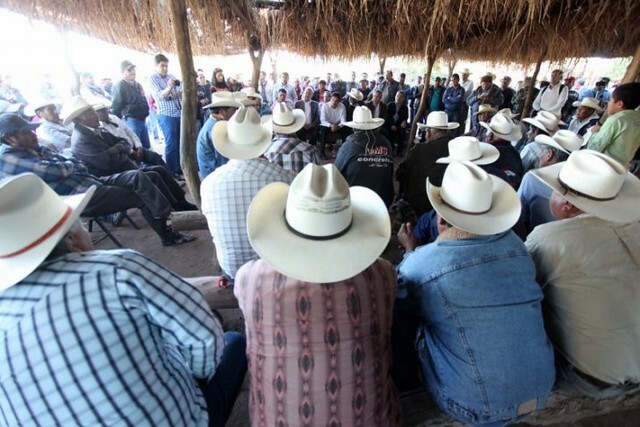 Energy sector privatization in Mexico, decried by the country’s left-wing political parties and leading 2018 presidential contender Andrés Manuel López Obrador, has actually opened up the sort of legal opportunities that the Otomi have pursued in court. In the US, the tribal consultation process is governed by the National Historic Preservation Act’s Section 106. That law gave the Standing Rock Sioux Tribe standing to sue US government agencies, though ultimately unsuccessfully, for what the tribe alleged were violations which took place during the inter-agency permitting process.